KASALA! is a movie about a day in the life of four young men who try to find a solution to a problem within 5 hours by exploring every avenue known to them. 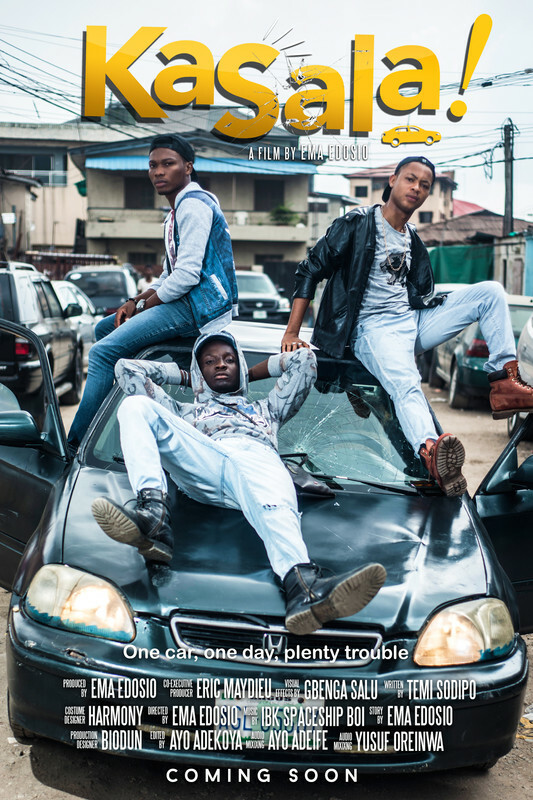 Tunji, a fast talking teenager borrows his no-nonsense Uncle’s vehicle and gets his friends, Chikodi, Effiong & Abraham to join him on a Joyride around the neighbourhood. Things however go wrong when they crash the vehicle. Over the course of the movie, the four friends try to raise the required funds to fix the vehicle before Tunji’s Uncle gets back from work. They resort to avenues known to each one of them and these gives an insight to several routes teenagers in slums explore in order to get quick money. The movie uses the comedy genre to reflect the lives of these four young men in a light-hearted narrative. Rather than showing the ills of the slums, values such as friendship, tenacity and courage are focused on. As such, seeing these values in the lives of four struggling teenagers leaves a lasting impression on the viewer.